At least for me, this was a surprising outcome to a surprising game. And I was dead wrong on the outcome. But I suspect I wasn’t the only one. I’ll break down the X’s and O’s in a later article, but for now, I want to discuss the keys to the game and its ultimate outcome. Broncos Offense: No, I don’t think the Broncos offense performed well, as they totaled under 200 yards on the evening and failed several times to take advantage of good field position obtained from their defense. But the first drive of the game after the Panthers deferred the kickoff was crucial, and the Broncos looked good (mostly due to a 18 yard Owen Daniels after-catch run and an effective CJ Anderson) and although it wasn’t a TD, early points were important to allow the Broncos some breathing room to take chances on defense. 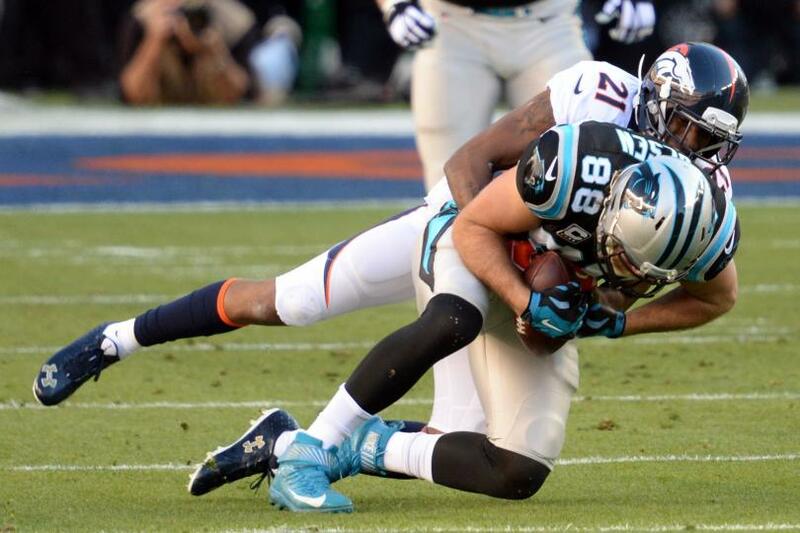 Turnovers: It was shocking to me how sloppy the Carolina Panthers were. The Newton fumble for a TD in the first quarter (mostly due to DeMarcus Ware actively stripping the ball from Newton as he went to the ground) was essentially game killing. 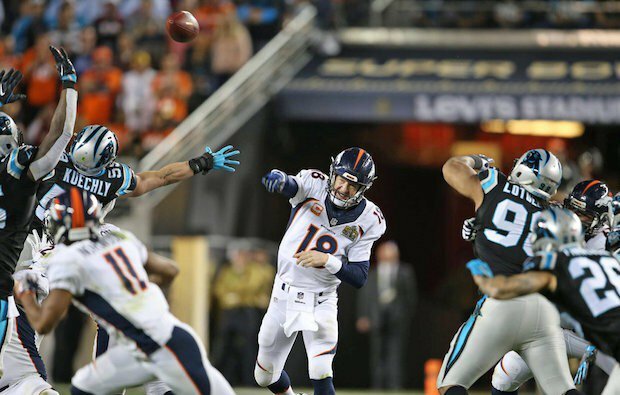 Newton doesn’t get all the blame for this though, as his offensive line left zero time to make decisions. The Mike Tolbert fumble, though, was near unforgivable. There was an INT per side approaching opposing redzones, but ultimately I think that essentially evened out. 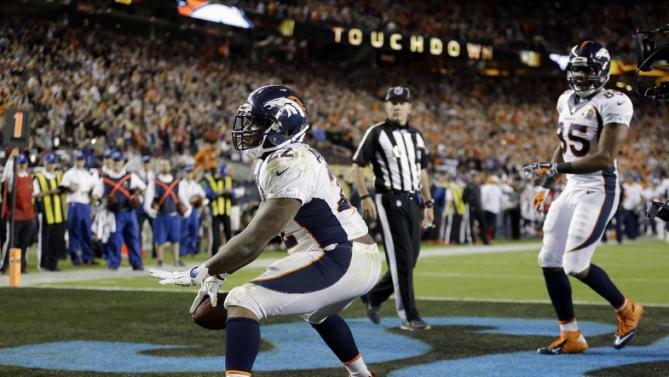 Sacks: Both teams were active sacking the opposing QB, but the Broncos tied a Super Bowl record with seven team sacks leading to a well deserved Von Miller MVP (though DeMarcus Ware deserves an honorary mention). Many people doubted that the Broncos could recreate the pressure its front four placed on Tom Brady and the Patriots in the AFC Championship game. Boy, were they wrong as the Panthers lost a total of 68 yards on those seven sacks. All in all, the sacks and turnovers kept the Panthers to 10 points, their lowest point total of the season. Injuries: Jonathan Stewart’s early injury in the first quarter didn’t keep him out of the game, but it might have impacted his effectiveness as he only totaled 29 yards on 12 carries. At the half, the Panthers only had a 82 total rush yards to the Broncos 57, but much of that was due to Newton, not Stewart. Corey Brown, who had been leading the Panthers WRs in targets in the playoffs, went out with a concussion after a spectacular 42 yard grab, which really hurt the offense as well. Where in the World was Greg Olsen? Completely locked down by Aqib Talib is where he was. Olsen caught 4 of 9 targets for just 41 yards, a far cry from his usual production. The Broncos singling out the prolific TE for pseudo-shadow treatment paid off in spades, particularly after Brown left the game. Both QBs Stunk: At the half, Cam Newton had completed 8 of 19 passes for just 95 yards, and had absorbed 3 sacks losing 33 total yards. Peyton Manning didn’t do any better completing 9 of 16 passes for only 76 yards and an INT, being sacked twice for a loss of 33 yards. Newton had one good drive, but constantly over-threw receivers or held on to the ball too long. He didn’t look nearly as decisive as his he was throughout his MVP season. Newton averaged almost 3 TDs per game in his last 10, had only 2 INTs in his last 10 and had only 4 lost fumbles this entire season, up to the Super Bowl. But during the Super Bowl? Well, Newton had 0 TDs, 1 INT and 2 lost fumbles. 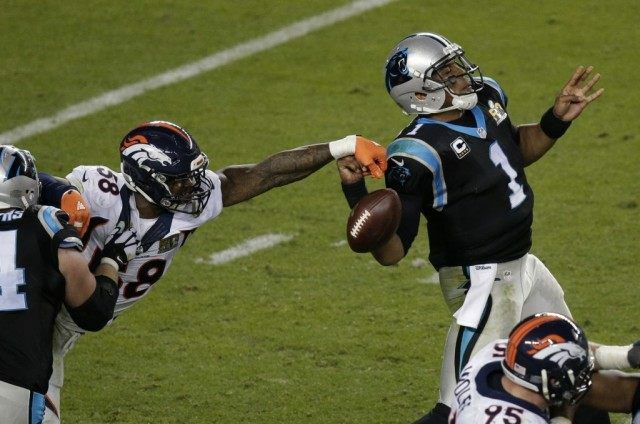 In short, both teams remained in the game DESPITE their respective QBs, but the Panthers suffered a lot more from an underperforming Newton than the Broncos did from the “as expected” Manning. Josh Norman: So the Panthers, for the most part, lined up Josh Norman against Demaryius Thomas. But was that the right move? Thomas had been brutally ineffective in the post season and serious “drop-itis” during the regular season. Sure, Thomas was held in the first half to just 1 of 4 targets for 8 yards, and missed two more targets in the second half, but many of those were more due to drops than Norman’s coverage. Emmanuel Sanders was the most targeted Broncos WR in the postseason and continued to run free connecting on 6 of 8 targets for 83 yards in the Super Bowl. Perhaps some defensive adjustments for the Panthers would have helped. CJ Anderson’s Promotion: The Broncos finally remembered why it was that they wanted to start Anderson over Hillman late last season and at the beginning of this season. And it paid off nicely as Anderson amassed 100 total yards, while Hillman got exactly 0. Tune in soon when we’ll break down the game in more detail and figure out what the Panthers could have done to have changed the outcome.